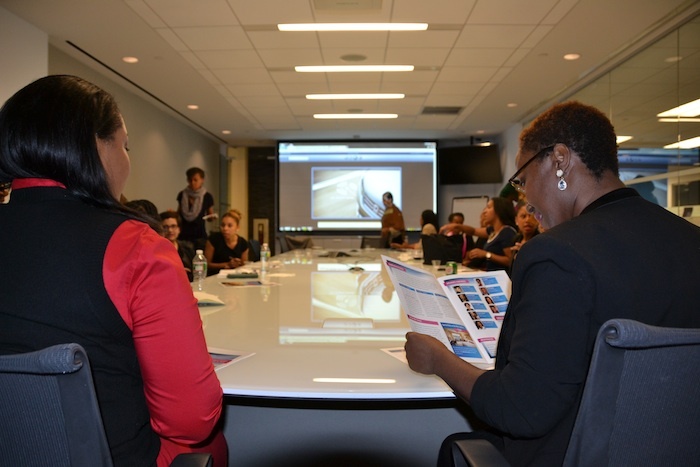 ColorComm previewed its first national conference in front of a small group in NYC on Monday. The ColorComm Network, which began as an invite-only luncheon for women of color in communications in 2011, introduced membership earlier this year and now has active chapters in Washington, D.C., Chicago and New York. In an effort to connect and provide value for its members the org’s founder, Lauren Wesley Wilson, decided that the time was right to host a national conference. On Monday, I attended an intimate preview for the conference at MSLGroup’s office in lower Manhattan. The name of the conference is C2: Defining the Future and it will take place on August 6 – 8, 2014 at the Ritz Carlton Key Biscayne in Miami, Florida. C2 (short for ColorComm Conference) will bring together 300 like-minded professionals in the communications industry to reflect, refresh and refuel. Innovative programs, presented by the industry’s top practitioners and thought leaders, will be built around the theme, Defining the Future, and will address key issues and predict future trends. Anna Castro, Founder of Latism (Latinos in Social Media) and more! Some of the topics that will be covered will focus on how to expand your business globally, building a digital community, and enhancing your visibility within the industry. At Monday’s preview, Wilson went around the room and talked to everyone there about what their professional needs are and what resources they’d like to see, so I’m sure she’ll take some of that feedback back to the planning committee. The Ritz Carlton will be offering a special rate of $199 per night (plus tax) that will be honored for 3 days before and 3 days after the conference, so if you wanted to turn this into a mini vacation for yourself you could. Registration for the conference will open really soon, so save the date and make sure you’re following ColorComm on Twitter and checking their website for updates.